Just this morning (as I type this) I enjoyed a quick back-and-forth conversation on social media and then via email with a man I consider of reasonable wisdom and maturity. He is a hard worker, husband, father and motivated employee of the same company I work for. He has a quick wit and a good sense of humor. The conversation we shared reminded me of the difference between being critical and being a mentor. The one thing that stands out most in my mind is that a mentor (or coach) has to be critical; he has to be capable of evaluation and judgment as part of his skill set, but he also has to be able to communicate what he sees as deficiencies in a way that offers solutions and recommendations for improvement. That add-on to the critical skill set is the difference between being someone who is negative and just complains and someone who offers a solution to an observed problem. Coach: a person who trains an athlete or a team of athletes. 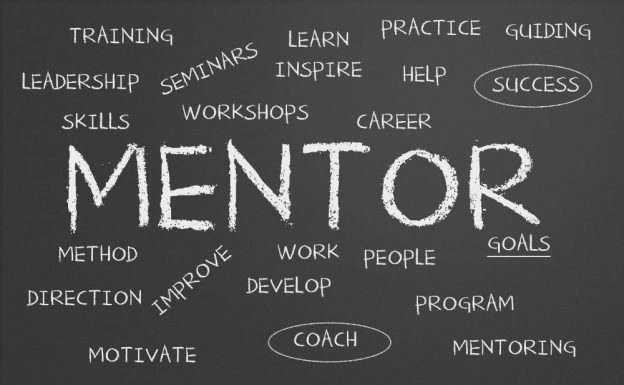 Mentor: a wise and trusted counselor or teacher; an influential senior sponsor or supporter. Critic: a person who judges, evaluates, or criticizes; a person who tends too readily to make captious, trivial, or harsh judgments; faultfinder. Critical: inclined to find fault or to judge with severity, often too readily. As we use these terms, we need to understand that they have common usage outside the dictionary definitions. For instance, “coach” is now frequently used interchangeably with “mentor,” as in “life coach,” or “professional coach.” Being a critic, such as a food or movie critic today, doesn’t always mean putting out negative judgments. 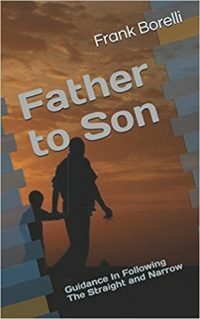 That common usage understood, we also need to take a look at the purpose and responsibilities held by various people… and then also understand that there are plenty of people in the world today who, shall we say, are critical of everything no matter what. Coaches and mentors, by virtue of their position, must be capable of performing a critique. They must be able to evaluate the performance, knowledge, skills, whatever of the person they are coaching/mentoring. They must be able to do this so they can provide feedback on how that individual can improve whatever skill set or knowledge base they are trying to increase their mastery of. However, if the coach/mentor provides only the negative feedback without any advice or guidance on how to correct the faulty performance, then they aren’t coaching; they aren’t mentoring. They are simply being critical. Being purely critical with no effort toward offering solutions to correct whatever negative situation exists benefits no one. There are a plethora of people in our society today who are critics and who have no sense or awareness of the negativity they constantly spread. In fact, they often believe they are doing others a favor by being so critical. They’ve gotten to understanding that guided improvement first starts with critiquing something, but they’ve never moved to the next step of offering positive suggestion for improvement. We see this demonstrated in a variety of societal arenas from college campuses to politics to work places and more. In the work place, if you’re a critic but not a coach, you have to understand that you’re adding nothing to the performance of the individual you’re being critical of and you’re doing nothing to increase the value of that employee to the employer or your work team. If you’re going to be critical of someone’s performance at work, don’t open your mouth or email to do so until you’ve also formulated a plan to improve the situation or to help the person you’re going to criticize. After you make a critical comment, make sure you’ve also added on a suggestion for how to correct deficiencies, improve performance or approach the challenge at hand. The difference in your actions will change how others view you in the work place. Are you just the person who always complains? Or are you the person who helps find solutions? In the political arena we see an assortment of folks who are all within their First Amendment protected right to speak freely… but in doing so all they’re doing is complaining about something they disagree with or simply don’t like. Even worse, sometimes they’re only complaining about something they have no understanding of but someone else told them it’s wrong so they’re speaking out against it. At no time do they offer a solution or ever intend to work toward one, but they can speak out so they do… and then they consider themselves patriotic for having exercised a right. Then, when someone points out the fact that they’re not really doing anything productive they get very defensive and start making accusations about oppression. It can give you a headache. But what’s the solution? What’s the suggestion for improvement? We all know “that guy.” That guy is never happy. He’s grumpy all the time. He always complains about everything. He’s the guy who would complain if he won the lottery but it wasn’t big enough. He’s the guy who would complain about his coffin not being fancy enough. His chair is uncomfortable; his computer is too slow; his cubicle is smaller than everyone else’s. The coffee is always too strong or has gotten cold and the urinal is three inches too low in the men’s room. That guy. He’s the guy with a problem for every solution. But.. somehow… almost miraculously… he still gets his job done. He might make everyone around him miserable as he does it, but he gets his work done. Being realistic, as much as many of us (sometimes including myself) don’t want to admit it, just getting the job done doesn’t make you a good employee. To some extent, being a good employee means being a part of the team. It means not only doing your work but also supporting the effort by offering suggestions for improvement, solutions to problems found, and assisting others on the team even though it’s not your job. The team leaders (if they are truly leaders and not just managers) will often be found working beside team members to get something done even though it’s not the team leader’s job. It’s the team’s job and the leader is part of the team. That guy isn’t really hurting the team because he’s still getting his job done… or is he? If you think of the team as a boat moving through the water, that guy is the boat anchor unintentionally overboard. He’s not stopping the boat but he’s doing nothing to help it move forward either. And as he goes about doing his job, complaining about everything in the world he can think of, he’s slowing down the rest of the team. Every now and then he finds a problem that actually does require resolution, but he’s not in the habit of correcting problems; he’s in the habit of complaining about them and moving on. 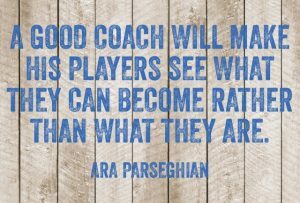 A coach… a mentor will help that guy improve himself and his outlook. A coach in the office will critique that guy and make suggestions for how he can improve his efficiency in the work place including having a more optimistic outlook day to day which will ultimately reinvigorate and help energize the team. That results in the team leader’s job getting easier and everyone being happier. In that, we can see how just one coach/mentor with motivation and good judgment can help an entire team improve really by just helping that guy. Of course, everyone including the team leader can sit back and do nothing but complain about that guy… never realizing the irony of having become him. Be a coach. 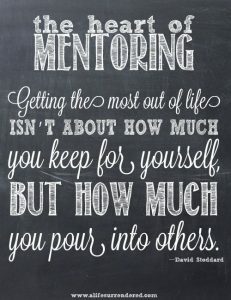 Be a mentor. Be critical and perform critiques but don’t be just a critic. Ultimately that benefits no one including yourself. 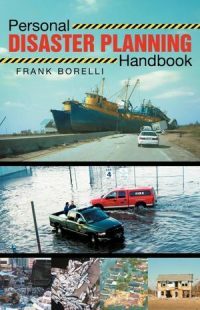 This entry was posted in Blog Topics, Interpersonal Relations, Motivational Truths and tagged borelli, coach, critic, critical, critique, Frank, impact, mentor, motivate, motivation, negative, positive, success on April 25, 2017 by Frank Borelli.